In 2002 , the year I first decided to take my writing seriously and pursue the long-held dream, I attended lots of courses at the Queensland Writers Centre. 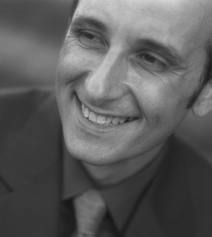 One of the first I went to was taught by Veny Armanno. He made the world of writing sound so exciting, difficult yet rewarding, that I was inspired to apply for a Masters degree at the University of Queensland where he taught in the creative writing programme. I was lucky enough to be accepted and have him as my supervisor/advisor. It was from Veny that I learnt the importance of each sentence, the power of good strong prose. It was also from him I learned that discipline and persistence are as essential to the writing business as creativity. I was already a fan of his work, especially Romeo of the Underworld and Firehead, where he infused laid back Queensland with a deeply sensitive Sicilian sensibility. Then he won the QLD Premier’s award for best novel for his epic The Volcano. I loved his recent release, The Dirty Beat and in a few weeks his new novel Black Mountain will be launched at Avid Reader Bookstore in West End. Time to go along and cheer! Somehow Veny manages to keep on producing work of combined power and beauty, all while continuing to teach writing to upstarts like me. I was honoured to have Veny launch Thrill Seekers earlier this year and am very grateful for all he’s taught me. He’s running a workshop at the QLD Writers Centre later this year, “Show Don’t ‘Tell” and I recommend that if you’re serious about improving your writing or just need a kick start, this is one workshop not to miss. I’m looking forward to reading Black Mountain and seeing what he’s come up with this time. It looks fabulous! 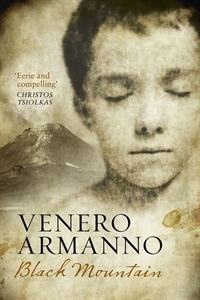 Three cheers for Veny Armanno, one of this country’s most exciting, yet under-recognised, writers. You’re recognised by me Veny, and by all those readers and writers whose lives you’ve touched.